Until now, the phrase “hut dinners” likely conjured up images of greasy pizza, tall plastic Coke cups, and salad bars that included chocolate pudding. That will change once you’re introduced to the adventure dining experience offered at Snowshoe Mountain in West Virginia. 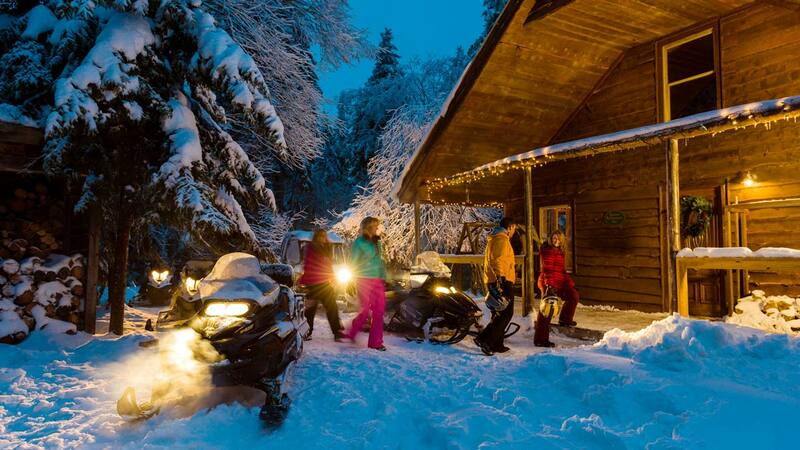 While there are a number of tempting Snowshoe restaurants, there are few eateries anywhere that offer this type of adventure. If you’re a fan of adrenaline-fueled experiences, rounded out with a gourmet meal, then Snowshoe WV is the destination for you. 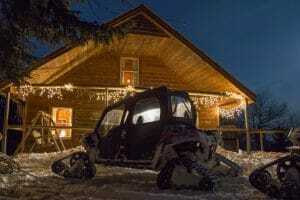 The adventure dining experience begins on the Cheat Mountain Ridge trail, where you’ll climb aboard the off-road vehicles for the 2-mile ride to the Sunrise Back-country Hut. Along the way, enjoy the unforgettable scenery of the spruce-lined forest from the comfort of the heated, 4-seat vehicle. Guests over the age of 18 are welcome to try their hand at the wheel, if they so desire. A limited beer and wine menu is also available for guests over the age of 21. 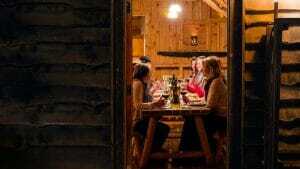 For those who don’t want the fun to end, the Overnight Back-country Hut Dinner offers a similar, longer adventure, but be forewarned that there’s a 10-person limit. Included in the package are all of the items listed above, plus overnight accommodations and a family-style breakfast. The lodging is rustic, but adventure guests opting for the overnight option will receive passes that allow access to Split Rock Pools, where there are showers available. Snowshoe WV is the perfect getaway for outdoor enthusiasts and those who choose to embrace the magic of all four seasons. For more information on Snowshoe lodging, or to book your stay, call 1-304-355-9553. Finally, while the Back-country Hut Dinner is available only Thursday through Sunday for most of the season, it’s offered all week long during the holidays.